For many consumers, phones have become a ubiquitous part of our day-to-day lives. But according to a new study, that may come with some consequences. To see how phone use affected day-to-day life, the researchers surveyed over 700 people between the ages of 18 and 83. Participants answered questions about the cost of their monthly phone plan, how much time they spend texting and calling, how they handled calls/texts while driving, how time spent on the phone affected their day-to-day routine, and more. Overall, the researchers found that the youngest age demographic -- 18-24-year-olds -- was the most susceptible to spending too much time on their phones. According to the study, nearly 41 percent of men and women in this age group were classified as “problematic mobile phone users.” Nearly 24 percent of the next youngest age group -- 25-29-year olds -- fell into the same category. 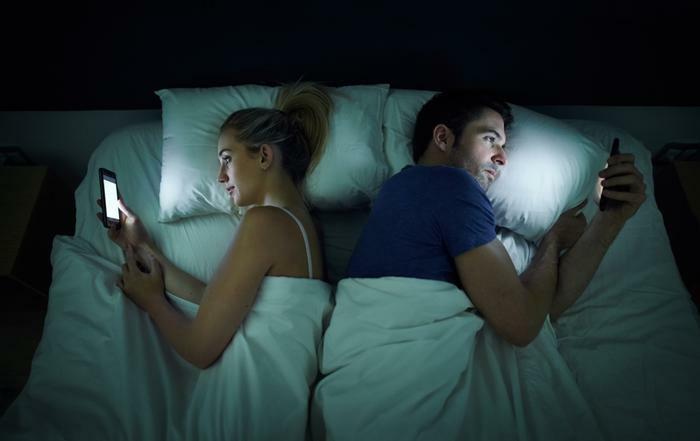 The survey also revealed that nearly 20 percent of women and 12 percent of men reported losing sleep because of time spent being on their phones. Over 54 percent of women and 41 percent of men say they are concerned that their friends won’t be able to reach them without their phones. Survey respondents reported feeling less productive because of excessive phone use, and both men and women often try to hide how much time they spend on their phones. From a physical standpoint, too much phone use has led to muscle aches and pains, whereas from a productivity perspective, many survey respondents would rather avoid real-life issues by spending time on their phones. Last summer, a study revealed that many teens think they spend too much time on their phones. One company that has worked to try to combat this issue is Apple, which released software that monitors how much time users spend on their phones. The update was released in Apple’s iOS 12 update, and it provides users with information on how much overall time is spent on their devices, as well as a breakdown of how much time was spent on each app. “We need to have tools and data to allow us to understand how we consume digital media,” said Tony Faddell, a former senior Apple executive who worked on the original iPhone and iPad. “We need to get finer-grain language and start to understand that an iPhone is just a refrigerator, it’s not the addiction."